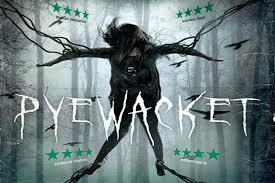 Tag Archives for " Pyewacket "
NHE host Scott Murphy as well as his two guest Co-hosts Ron Nichols and Elizabeth Orrichol (Storm) look back at the best horror movies of 2018. Each of them compiled their own top 10 list which we run down up to No6 in this first part. As there was bound to cross-over in the lists, it was decided that films would be talked about on whoever’s list they appeared higher on For Example Storms No9 was Ron’s No10 so that movie was initially skipped but then talked about at the No9 slots. Don’t worry if you are a little confused we promise it all makes sense when you tune in to the episode! Also, look out for part II where we count down our top 5’s on Wednesday 9th January.